RapidShield™ is an advanced approach to floor protection and maintenance, with high performance and unbelievably quick turnaround times. Our RapidShield™ high-performance, UV-curable floor coating system offers an advanced approach to floor protection and maintenance. RapidShield™ is safer than traditional methods, is non flammable, has low odor, and contains no solvents or isocyanates. Not only does it comply with VOC and HAP environmental mandates, it is also the most cost-effective method for protecting and maintaining your concrete floors. RapidShield™ offers a comprehensive approach—a single component formulation and a mobile curing unit. Operations occur 24 hours a day 7 days a week, and safety requirements are increasingly pertinent. To succeed, facilities need to be kept clean and safe while minimizing downtime. 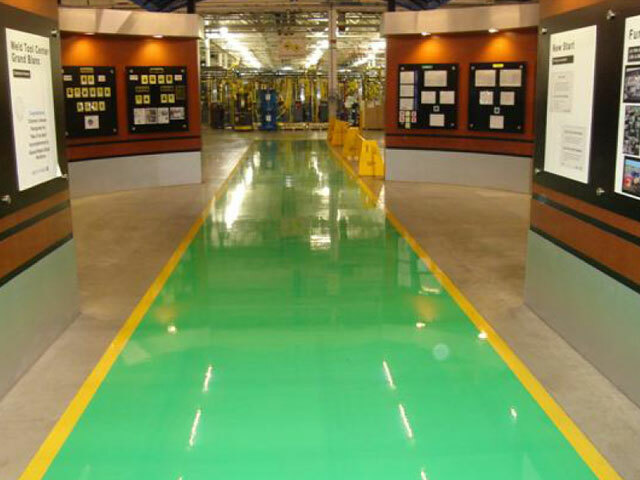 The RapidShield™ high-performance, UV-curable floor coating system offers an advanced approach to floor protection and maintenance with a single component formulation and a mobile curing unit. A layer of RapidShield™ coating is applied with a roller or brush to a prepared, clean floor (A). When exposed to UV light from the mobile curing unit, the coating instantly turns into a solid film and creates a strong bond to the substrate (B)—resulting in an immediately usable, long-lasting surface that is exceptionally durable and easy to maintain. 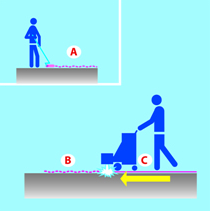 The fast cure means that, within minutes, you can resume the use of your floor—getting back to the real work your facility was designed for (C). You will avoid lengthy, and often expensive, operational shutdowns or interrupted production. After your floor is protected with RapidShield™, its outstanding performance will continue to save you time and money. Its durable, seamless bond will protect and increase the life of your new or existing concrete floor—resisting abrasion, chemicals, impact, and scratches. In addition, because it lasts longer than typical epoxies, you won’t have to recoat your floors as frequently. RapidShield™ has a hard, glossy surface that is easy to clean and maintain. This means fewer maintenance people and supplies are needed for maintaining and cleaning your floors. Tire marks are a thing of the past! During application, RapidShield™ has advantages over traditional methods for worker safety. The formulation contains no solvents, which means no worry about government mandates on VOCs, exposure to solvent vapors, or flammability. RapidShield™ will protect new concrete floors and will turn worn older floors into safer, more aesthetically appealing surfaces. 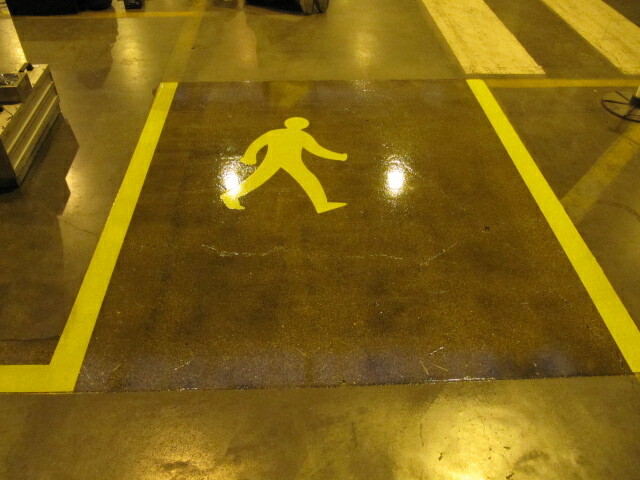 The availability of clear or any color means you can use it to mark walkways, to create safety striping and signs, or simply to coordinate facility colors to create a pleasing work environment. Ask your chemical management supplier about this advanced concrete protection, and about our RapidShield™ Cost Analysis software to calculate how this advanced approach can dramatically reduce maintenance costs at your facility.